Going Mamarazzi: All Together Now: Awwwww!!!!! 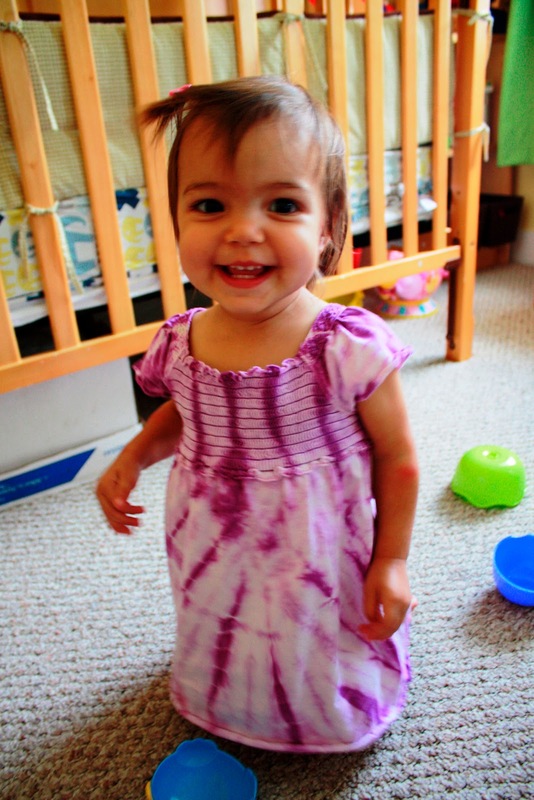 Love this tie-dye dress that my Aunt Pam bought her! 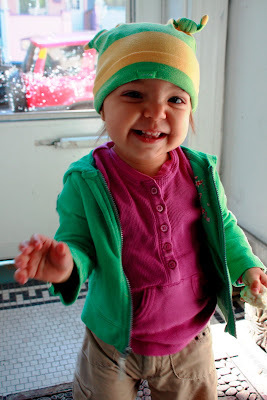 This was Wednesday, right after we got back from story time at the library. 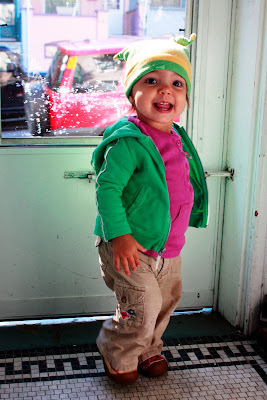 I'm pretty much a moron at all things fashion related, but I was feeling pretty proud of this little ensemble I put together, so I pulled out the camera and had her strut the catwalk for me. In true fashion show style, here's what Hannah's wearing: hand-me-down cords and hoodie jacket (no clue who from, but both are very loved and get a ton of use), hat from the Gap (from Terrill), an awesome pair of Keen shoes handed down from Libby and Esther, and I picked up that shirt last weekend at the consignment shop (along with a four other long-sleeved shirts, three blanket pajamas, snow boots, a fall jacket, a cute outfit, a pair of jeans, and a Halloween costume--all for $60!). Wahoo for looking good in mostly free stuff!! Hannah has gotten really into looking at pictures of herself, both on the computer and on the LCD screen of the camera, so when I pulled out the camera and snapped the above picture, she got all excited and bum rushed the camera, pulling it from my hands and turning it over to study her image in the LCD screen. That's why she looks excited in this next pic and also why her hand is in grab mode.